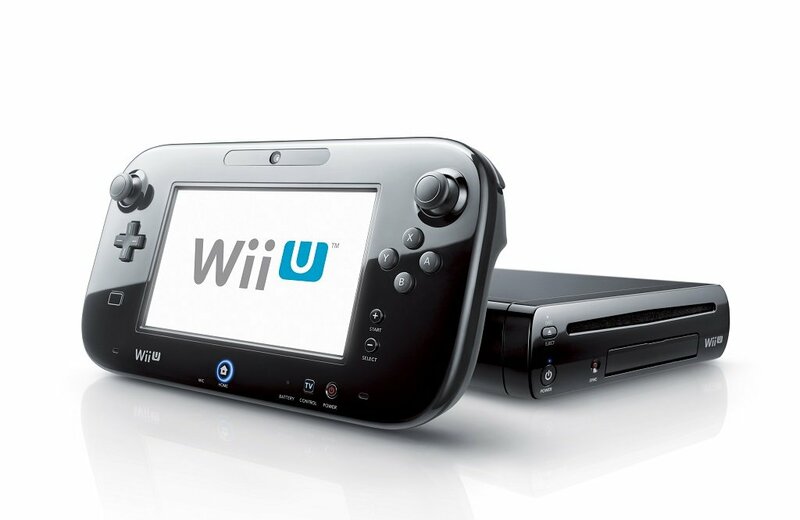 So without further ado, the top 10 Wii U games! But first, some runners-up! No, Nintendo Land didn’t prove to be the second coming of Wii Sports that the Big N hoped it would be. But that doesn’t mean that it isn’t a whole lot of fun. Granted, you kind of need a full party of five players to fully enjoy Nintendo Land, as the single-player options feel pretty empty compared to Wii Sports. But if you can get said party together then Nintendo Land is an incredibly good time. Games like Luigi’s Ghost Mansion and Animal Crossing: Sweet Day make this a must-have for parties. It’s some of the most fun local multiplayer in recent memory. 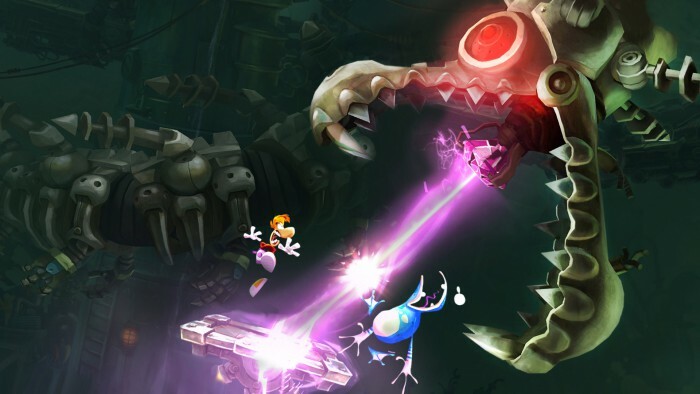 Rayman Legends is an absolutely gorgeous game to look at, and an incredibly fun one to play. I admit I prefer more strategic platformers as opposed to the momentum-based style of Rayman’s resurgence (thus explaining why it’s a runner-up and not in the top 10), but there is no denying the charm and fun that exudes from this game. 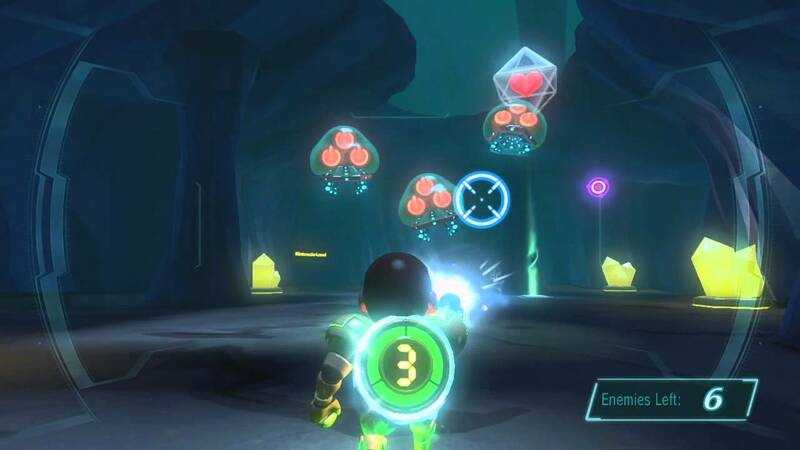 Though it didn’t end up a Wii U exclusive as it was originally promised, the Wii U version of the game remains its definitive version as it matches its original vision the closest. We all know that the New Super Mario Bros. games tend to play things safe, as they prefer to stay in tried-and-true formulas as opposed to reinventing them like the 3D Mario games. Not to mention Nintendo was quick to turn New Super Mario Bros. into its own sub-series, with perhaps one too many sequels being released too quickly. 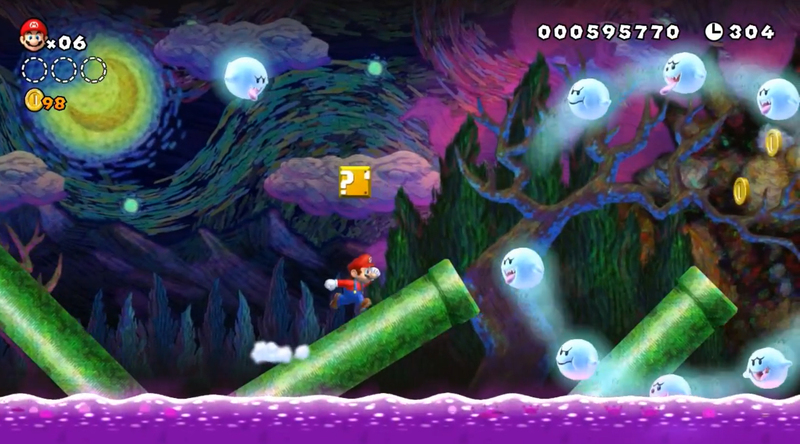 2012 saw two titles in the sub-series emerge in New Super Mario Bros. 2 on 3DS and New Super Mario Bros. U on Wii U. While the former is arguably the worst and most uninspired Mario platformer, the latter actually boasts a huge improvement in level design for the series. And when four players get thrown into the mix (and a fifth using the gamepad to help or hinder them), things really pick up. It may not reinvent the series, but this is the best New Super Mario Bros. yet. Super Mario 3D World is a brilliant game (more on that later), and some of its highlights were the Captain Toad stages, in which players navigated a jump-less Toad through compact, singular screen stages. They were so fun that the team behind 3D World decided to expand them into their own game a year later. 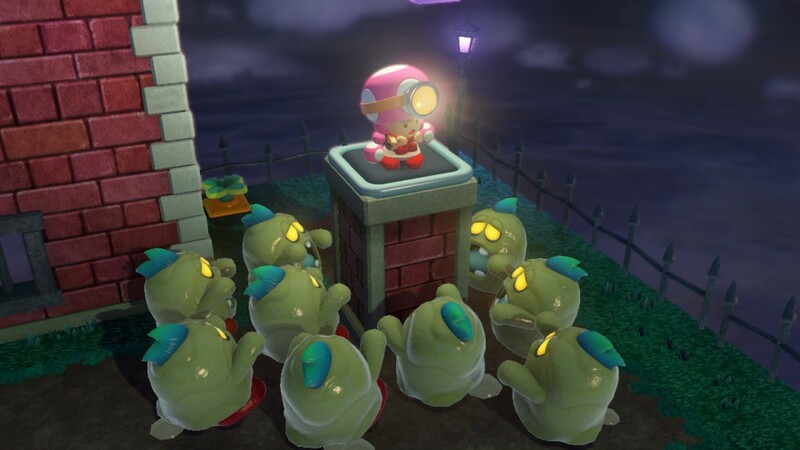 Captain Toad: Treasure Tracker is a very fun, challenging, and underrated puzzle adventure that proves the Captain Toad levels were far too good to be relegated to a side dish. It’s a game that oozes charm and creativity from the get-go. I like to think these are the essential games for the console, so I wouldn’t be surprised to see you list many of the same games. You really need to get to Tropical Freeze. You won’t regret it. This is a really good top 10, I would have arranged some of the games differently but they are pretty much all there. Though I think Assassin’s Creed IV should be on the list unless this is first party games only 😉 Anyhow Great Article. Believe me, thinking of the order of the games was the hardest part. Especially the top four, which I feel are on equal footing in a lot of ways. I basically had to nitpick between them. Sadly, I have yet to play Assassin’s Creed IV, which explains its absence here. Thanks for the comment! I think it’s fair to say the WiiU’s problems with its library are barely any different from what we saw with Nintendo consoles from the N64 onwards, good 1st party support, not so much with 3rd parties. I don’t own one at the moment, as the games I want for it are rather limited to justify buying an expensive console, but I’ll say it’s the closest thing I want to a current gen system (excluding the 3DS as I already own one). I have already played Shovel Knight on PC, but the amiibo unlocking coop might impulse me to double dip and get one of those figurines I never cared for before, and I’m sure my GF is curious to try out Wooly World sometime down the road. My personal interests are Bayonetta 2 and Smash Bros, but I also want to give Rainbow Curse a shot, despite reading some disappointing aspects about it in comparison to Canvas Curse, and Zelda will hopefully be out by next year to see how it handles the whole open world thing. Nintendo has had troubles with third-parties for a long time now (except Capcom), and it now doubt has an affect on many people’s outlook of their consoles. If you do decide to buy a Wii U, all the games I listed would justify the purchase I think. I’d say Mario Kart 8 alone would justify it. Definitely a lot of great games. Definitely looking forward to Zelda, hopefully it can live up to The Wind Waker, which I still feel is the best 3D entry in the series. It better dang live up to Wind Waker! Great list! I am not surprised to see Tropical Freeze ranked so high (and I fully agree with all the reasons given to support its position) and I was shocked to see Super Mario Maker top all games (some of which I was sure it would be trailing). As an endless source of Super Mario goodness, though, it has certainly earned its place! I am also glad to see positive comments towards Super Mario 3D World and New Super Mario Bros. U. It seems that just a few years after their respective releases some fans are forgetting how absolutely awesome those games were. Tropical Freeze deserves every bit of praise it gets (which should honestly be more than it’s received). It’s a masterful platformer. The only reason it didn’t top this list is because of the lack of Gamepad features, which prevents it from being the “definitive” Wii U game. It’s a better singular experience than Mario Maker, but as Mario Maker is an endless treasure box of Mario that allows me to make my own Mario levels, and it uses the Gamepad better than any other game, it just had to claim top honors. Super Mario 3D World definitely deserves more acclaim than it gets. It was beloved at launch but now seems to be talked about like a “lesser” Mario game, which it certainly isn’t. NSMBU is also better than it gets credit for, but I simply think people were New Super Mario Bros’ed out by that point. Nintendo did overuse the New Super Mario Bros brand. I wasn’t very excited about the game when I got it due to that but what I found was a treasure. Previous Previous post: The 200th Blog Spectacularsaurus!